Sawnee EMC serves an ever-growing area of Northern Georgia. 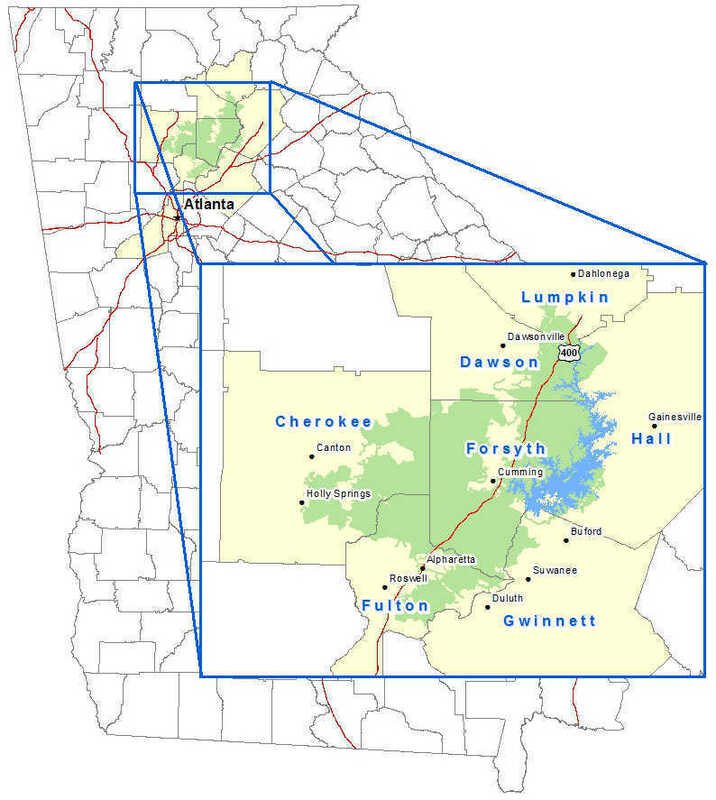 Sawnee serves parts of seven (7) counties as outlined in the 1973 Territorial Act of Georgia. These seven counties are Forsyth, Fulton, Dawson, Lumpkin, Cherokee, Hall, & Gwinnett. Generally, Sawnee's service territory extends from the Chattahoochee River at GA 400 in the south, S.R. 60 at GA 400 in the north, the community of Holly Springs in the west and the community of Flowery Branch in the east. To learn if your prospective home or business site is within Sawnee's service territory, contact us at customerservice@sawnee.com.